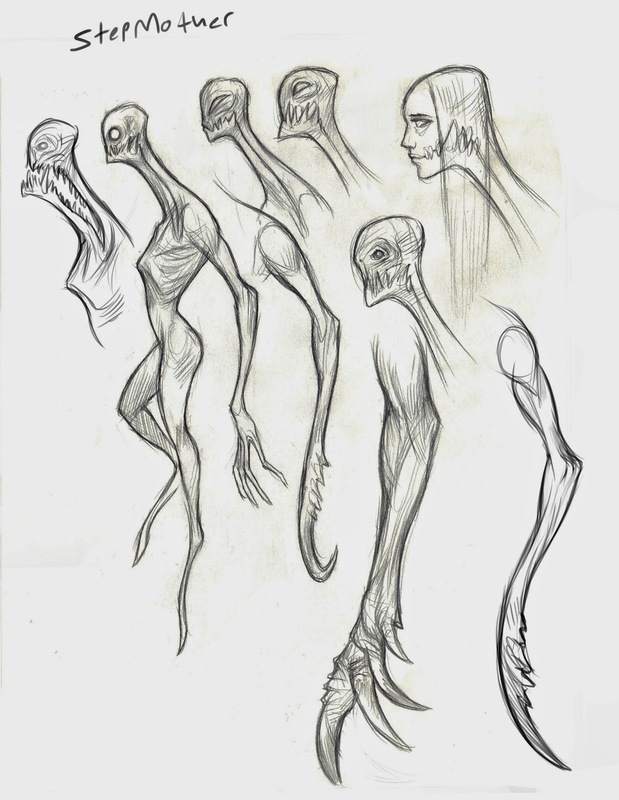 While in school I worked as a concept artist on a game team with several classmates, I'd almost entirely forgotten about these images and only recently came across them again. Our team was Crow's Eye and our game was to be a survival horror, tentatively titled "Black Sun". Inspired by real world ghost towns like Salton City, the player would wake up in an abandoned 50's era desert town and have to figure out how he came to be there, and how to escape before being killed off by it's monstrous inhabitants. The game ran into several snags concerning plot and gameplay, but we came fairly far into production, with three rigged and animated monsters, a decent portion of the town modeled and textured, functioning day and night cycles and a first playable demo. Our three main monsters were nicknamed Bob, Backscratcher and Babyface, and they leveled up in size and aggression in that order. There might be multiple Bobs, a few Backscratchers but only one Babyface, and he was the most influential to the storyline. Lots of ideas were thrown around concerning him; the most prominent being he was obsessed with human imagery and would lead the other monsters to collect photos, dummies, and dolls to pile them into an effigy in the town center. 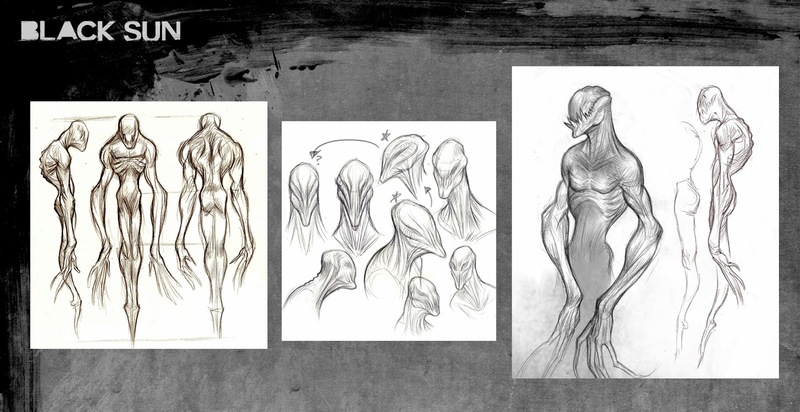 Other times the monsters were all going to be representative of human sins, and an eclipse may or may not have been involved at one point during development. Backscratcher. 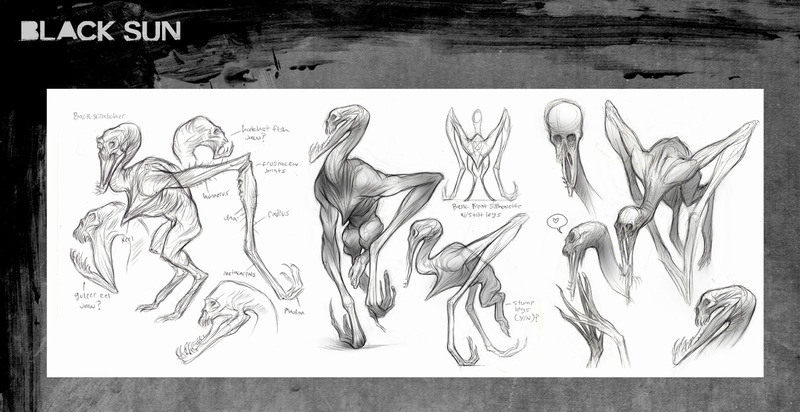 He would attack the player from the ceiling, reaching out with long limbs to grab you when you weren't paying attention. Babyface is essentially a giant multi-limbed slug, and gets his name from his bad habit of holding a doll's head in his mouth to be spooky. Below is a somewhat incomplete "look and feel" painting I did of him watching over a pile of his treasured belongings. Some unused concepts below. 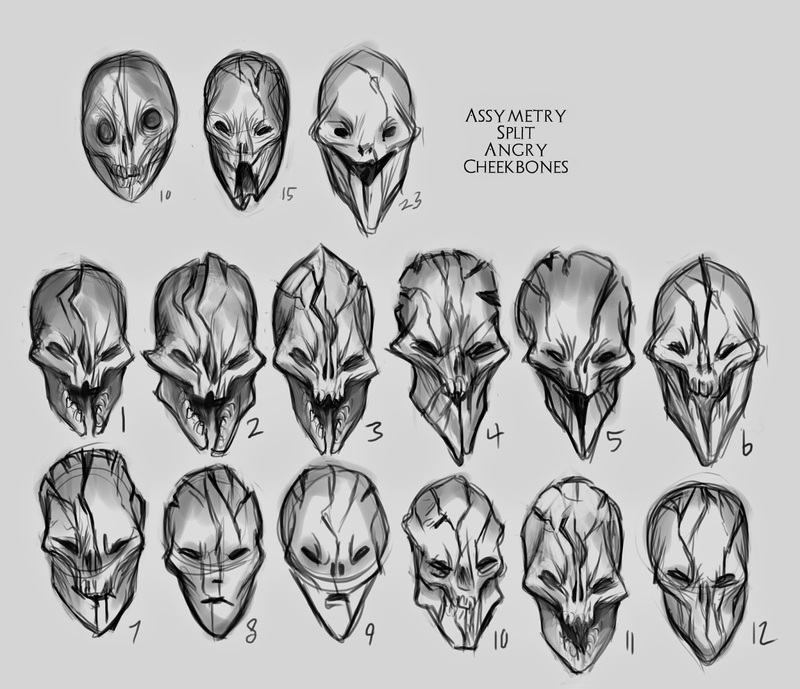 At one point there was an idea for a mask game mechanic, in which putting it on would either control the day/night cycle, or allow you to pass by the monsters unmolested for a short period of time. 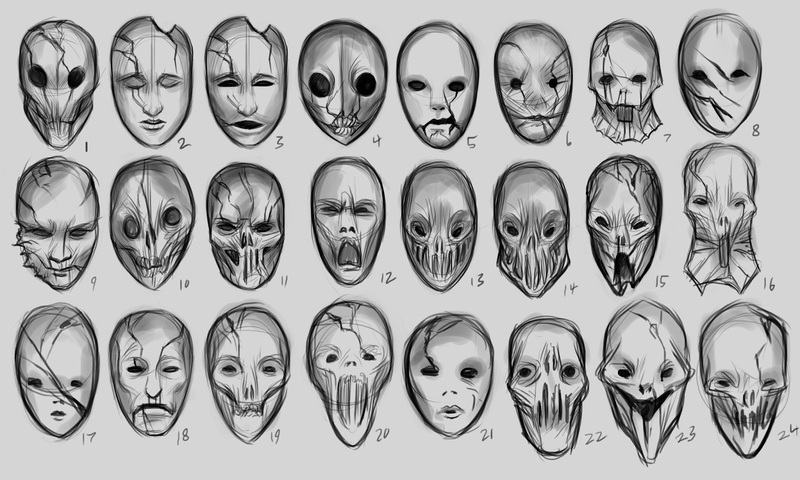 I had a lot of interesting reference images for these, and by interesting I mean desensitizing. 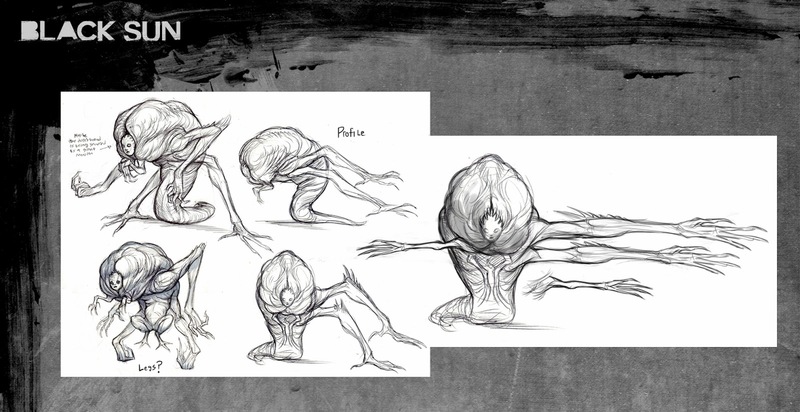 Here's a reel showing each finished monster and their idle animations. The models and texturing are by Marian Huber, and the animations were done by Anne Feeny. Hello everyone, I'm very sorry for the lack of updates here, and if you follow me elsewhere you've likely already seen what I'm about to post now. I've been so busy as of late, I've graduated from my college back in May and have been spending as much time as possible since then practicing and trying to build up a good portfolio for the eventual job hunt. This has also led me to neglect my blog and a few other places, but I'll have everything back up to date shortly. So, first things first! 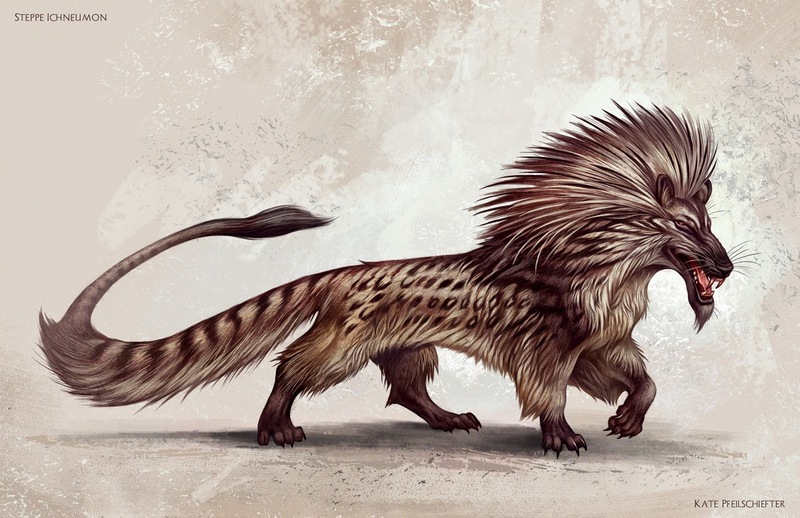 I became a bit obsessed with getting my designs of the obscure mythological Ichneumon just right, and since entering the Helpful Bear Creature contest I'd added two extra paintings trying to pin down their look. 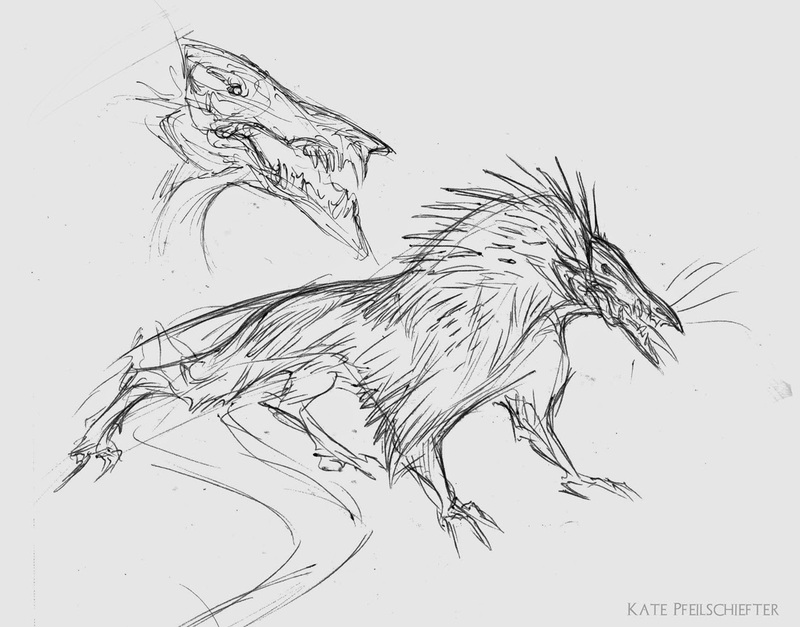 They've come a long way from being extra spiky mongooses, but something in my original doodle still managed to escape my final paintings. The original rough isn't paying as much attention to it's place in phylogeny, and as it became my end goal for the Ichneumon to look like it evolved from or is related to current living animals some of the more abstract details were omitted. There may be more Ichneumon in me yet, and in the future I may go back to the drawing board to do a less restricted version of the design. After finishing the guy above for the creature contest, I wanted to do a more orthographic view that better showed off the animal in it's entirety. I ended up changing some colour and pattern details and tried to push it more towards something resembling a smilodon with it's head stretched out. 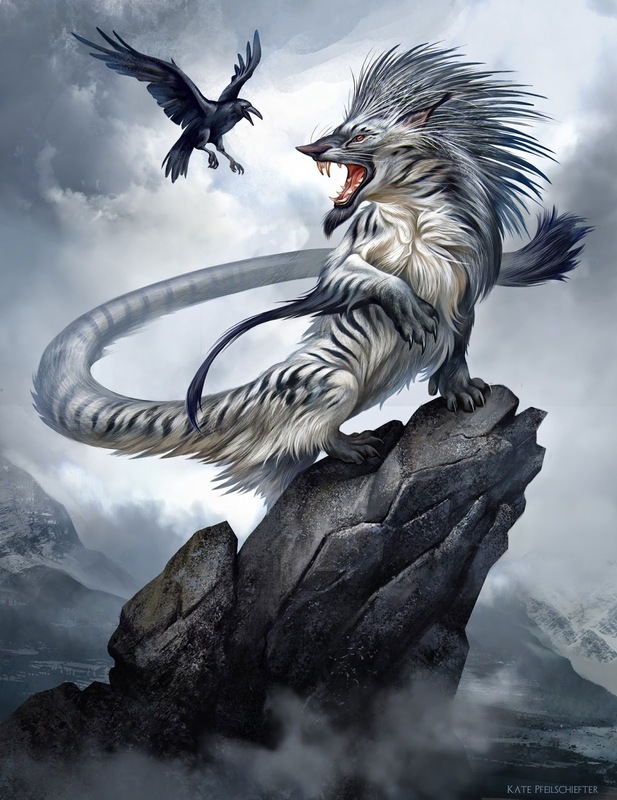 I wanted to get this creature to feel like it may have once existed in the age of megafuana, and had fun going crazy painting all the fur detail. I think the painting above is the one I'm most satisfied with from a design standpoint, but I had gotten away from the snowy salt and pepper look of the first painting and wanted to try and illustrate that version again in a more dynamic view. I knew I wanted him to be standing high up on a precipice, but I don't think I fully realized what that implied until I got past the composition stage. 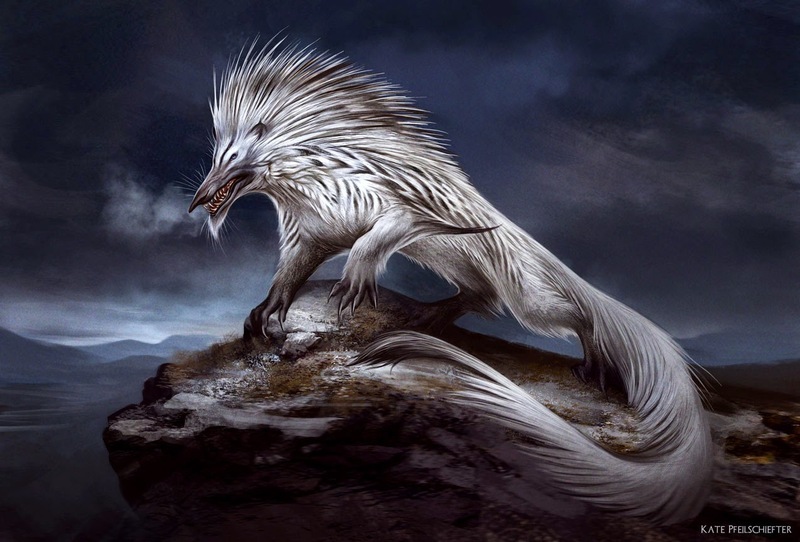 That being, trying to make a white creature stand out on a primarily white background. Naturally I had a really interesting time trying to push interest with this kind of monotone colour scheme, and did a lot of research concerning snow leopards and how they generally appeared in their own snowy environments. But snow leopards being snow leopards for the most part do exactly what my creature was doing, they blend in to the background. 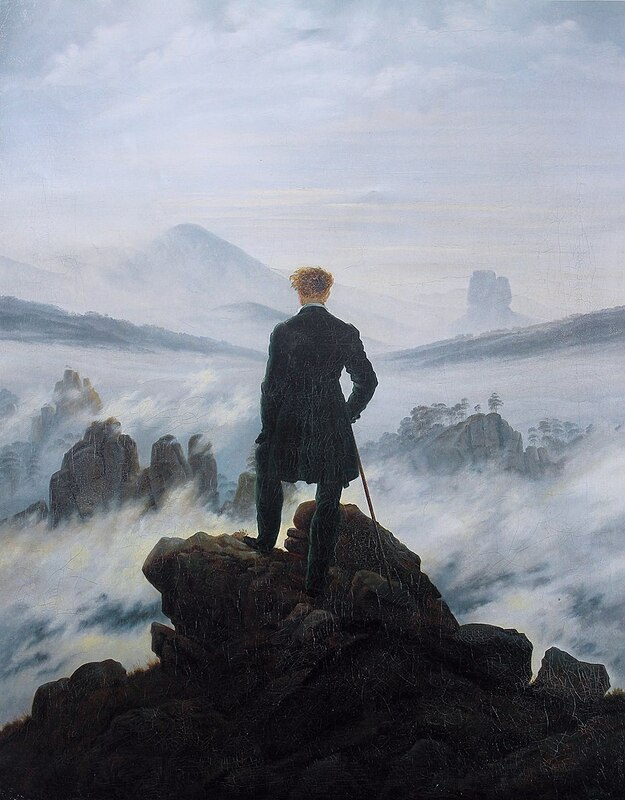 Next time I should pay more attention to Casper David Friedrich as in his painting "Wanderer above the Sea of Fog", and go full silhouette.